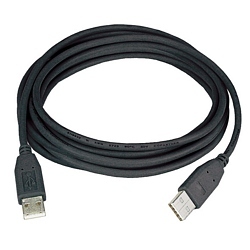 This type "A" male to type "A" male USB 2.0 cord is for manual switch boxes and some USB adapters. It is rated at 480Mbps. Please note that it is not a peer-to-peer data transfer cable. Attempting to connect 2 computers with this cable would most likely cause a short circuit.